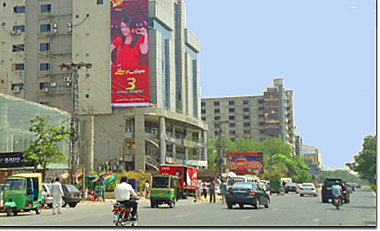 The Pakistan Advertisers' Society (PAS) has endorsed MOVE – “Measuring OOH Visibility & Exposure” - consortium to develop and launch an OOH Audience and Ratings currency in Karachi, Lahore, Islamabad and Rawalpind. In October 2013, PAS OAMTC (Outdoor Audience Measurement Technical Committee) issued a request for proposals to provide detailed input into the development, design and launch of the new OOH research currency and associated reporting and analytic systems. Out-of-Home is 12% of the total advertising expenditure in Pakistan with a volume of 360 million € (48.5bn PKR). Global advertisers are present in a country with a population exceding 180 million people. After a review process, the MOVE consortium was finally endorsed by the OAMTC and the PAS Executive Council for the project. CUENDE Infometrics: It will implement the methodology, software and patented solutions for audience measurement. MOVE: Pakistani media marketing and research company. Move spreads out traffic cameras in main streets to count vehicule flows. This company also provides and billboard profiling and local knowledge. TNS: Global fieldwork company that provides surveys and a GPS tracked panel. TELMAR: local support to Quantum software users.